Hello all, recently my FR and RR window washers have stopped working. Refilled the tank, but realised the pump isn't operating. I initially tried looking for a fuse for the washer, but couldn't see anything in the handbook. Other googling suggestions didn't really seem to match my fuse box config. F14 in engine bay is a shunt fuse dedicated to some kind of injection relay? I can't remember. - If I need to replace the pump, how do I know I'm getting the right part? I've had a look on ebay and the prospective parts look similar, but I'm concerned that they might not be compatible? Or are these fairly generic parts? I've found this via GSF parts. I think it should be ok, but can anyone confirm? That should be fine its a twin outlet like yours and it says it fits the berlingo. One tip when fitting put the rubber seal in the reservoir first and seat it correctly then put a smear of lube on the pump inlet and push it in making sure you don't push the seal through into the reservoir. Worth testing yours first. There are 2 pins in that connector - run a couple of leads from your battery and connect to each pin. If it doesn't work one way, try the other. If that doesn't work, then it's likely that the pump motor is dead. However, if it does work then you need to test the supply lead. Put your meter onto volts (DC), in the range that will cover 12 volts. Put your test leads onto each contact (doesn't matter which way round) and get someone to operate the washer switch with the ignition on. If no reading, reverse the leads, and try again. If no reading then there is a supply problem which needs to be tracked to its source, which may either be a fuse (just look at all of them for a broken one) or the switch itself has an issue. Worth doing a few checks before ordering a pump. Thanks Oilyrag, I did a bit of electronic diagnostic (for the first time). I didn't actually know you could hook things straight to the battery to test i.e. 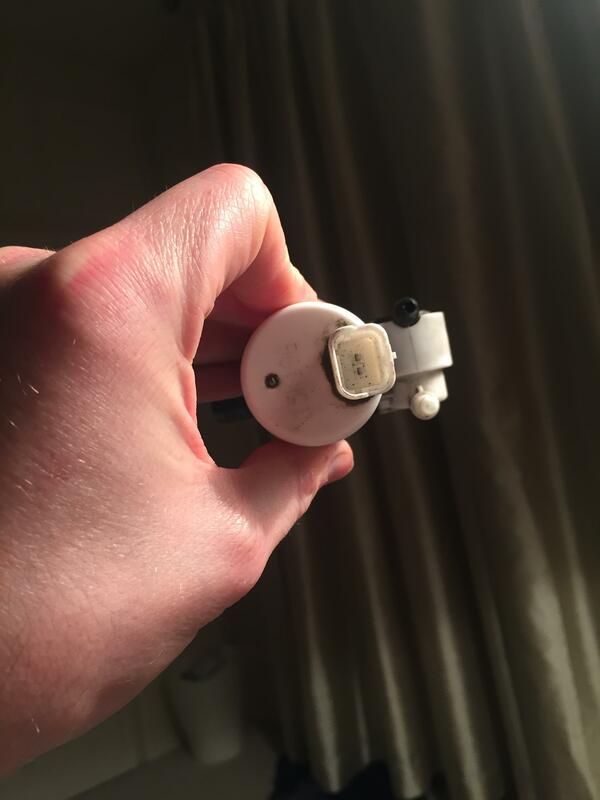 washer pump; I just assumed the battery would fry them for some reason - but I guess they're all 12V. So I'm not sure exactly what was wrong before but taken the pump and washer reservoir out and giving both a good clean (hot water and fairy liquid for reservoir/ electrical contact cleaner for harness connector and pump contacts) and everything is working again like it should be. Great news! I've taken the odd pump apart (and never got them running again! ), but they seem to rely on a rubber waterwheel to push the fluid round. If the rubber tips sick to the housing then the motor is stalled and nothing happens. Also, if soap (Fairy Liquid!) is used in the washer fluid it can form a gunky deposit which has the same effect, whereas plain water or the proper fluid doesn't. (03-05-2017, 08:52 AM)Micoclarke Wrote: Thanks Oilyrag, I did a bit of electronic diagnostic (for the first time). I didn't actually know you could hook things straight to the battery to test i.e. 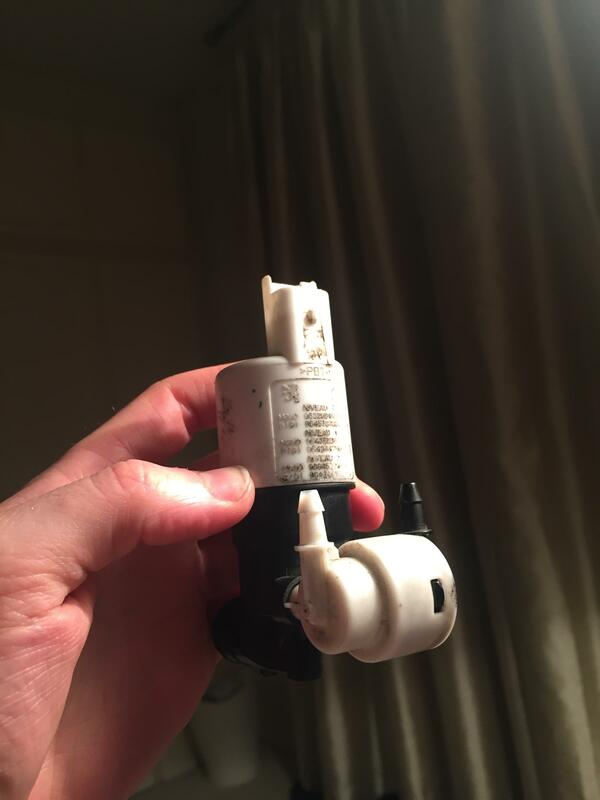 washer pump; I just assumed the battery would fry them for some reason - but I guess they're all 12V. That's funny because the reservoir actually had a lot of gunky stuff in it before I cleaned it out - perhaps the last owner didn't use the right stuff to clean it out. I made sure to properly rinse out any soap suds, so should be ok for a while longer.